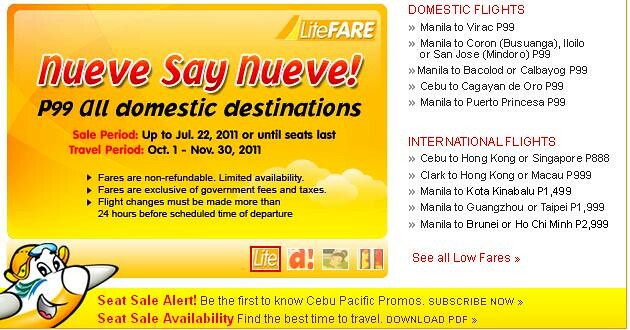 This entry was posted in Events, Promos and Contests and tagged cebu pacific, CebuPac, promo, promo fare. Bookmark the permalink. i want to travel to kalibo,but im searching for 99 and piso fare..
inggit! =( pikit mata muna ako sa mga sale.